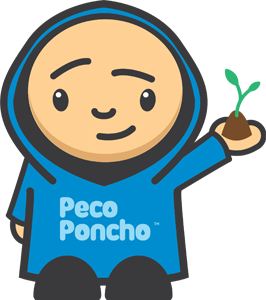 Peco Poncho | The Home of Biodegradable & Compostable Rain Ponchos | Pack A Peco Poncho! Hello, we are Peco Poncho. 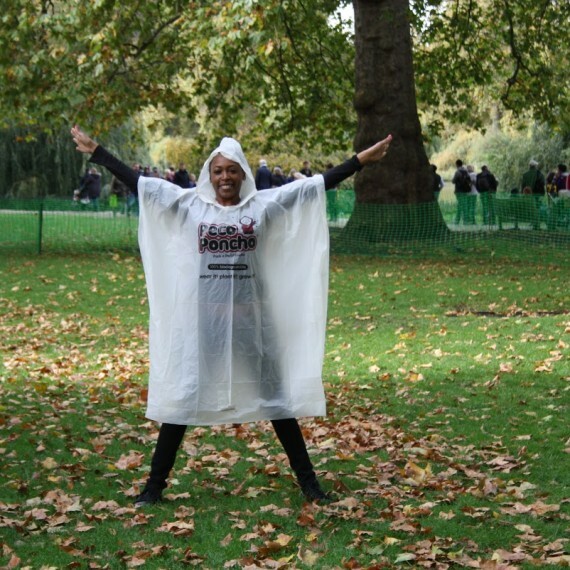 We supply custom printed disposable rain ponchos for outdoor events. 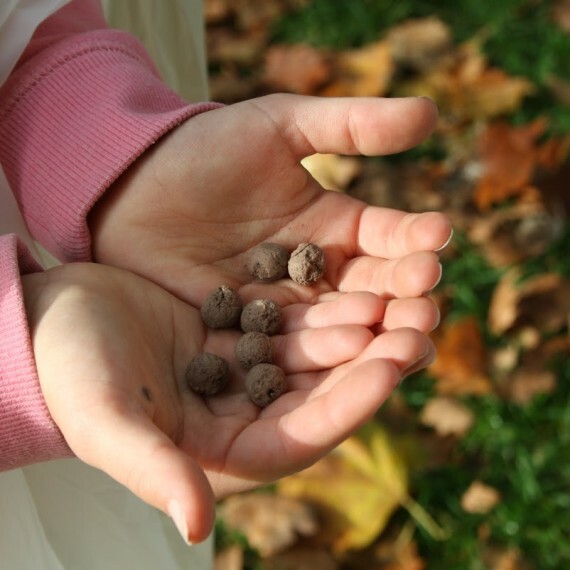 All our material is 100% biodegradable and 100% compostable. hundreds of years to degrade and could end up landfill or oceans polluting our planet. right environment in less than 24 months. The ink we use is biodegradable too. 100% biodegradable and 100% compostable. No permanent waste. Suitable for all occasions. Lightweight and easy to carry. Perfect for that unexpected rain. COMING SOON – Implanted with wildflower balls. Biodegradable, compostable and soil degradable. Plant your poncho and grow wildflowers. Great for bees which are in decline. Promote your brand with our biodegradable and compostable rain ponchos. Ideal for marathons, festivals, theme parks, sporting events…anywhere where there could be rain! At Peco Poncho we passionately believe in sustainability and innovation. our small part in helping others access products that don’t harm the planet. hundreds of years in a waste site, we had a light bulb moment. Biodegradation is a chemical process in which materials naturally break down when it interacts with micro-organisms, and degrades back into natural elements either water, carbon or compost. Composting occurs when materials biodegrade under specific temperatures and timeframes. At the end of the process only natural products remain, either water, carbon or compost which leaves no visible contaminants or toxic residue. There are various regulations and standards that a product can meet in order to be described as “compostable” e.g. EN 13432 in Europe and ASTM 6400 in USA. What is Peco Poncho made of? The material is a biodegradable polyester which is from non-food agricultural feedstocks. Will my Peco Poncho biodegrade whilst it’s raining? Not at all. Biodegradation of any Peco Poncho will only begin once your poncho is in contact with the right compost or soil environment. So you can enjoy your poncho until you are finished wearing it. 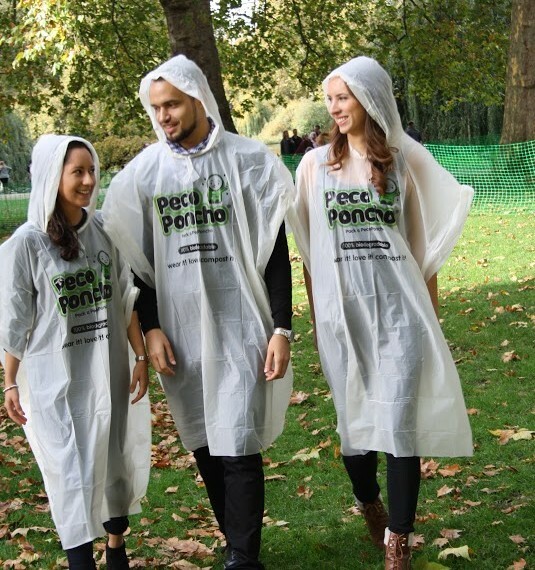 How does the Peco Eco Poncho biodegrade? 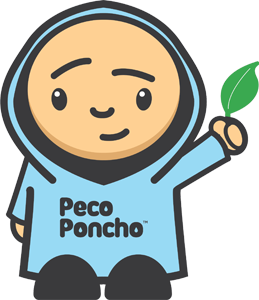 The Peco Eco Poncho will biodegrade within 24 months in contact with compost. Typical disposable plastic rain ponchos contain a substance called polyethylene which causes those ponchos to degrade over hundreds of years in landfill. 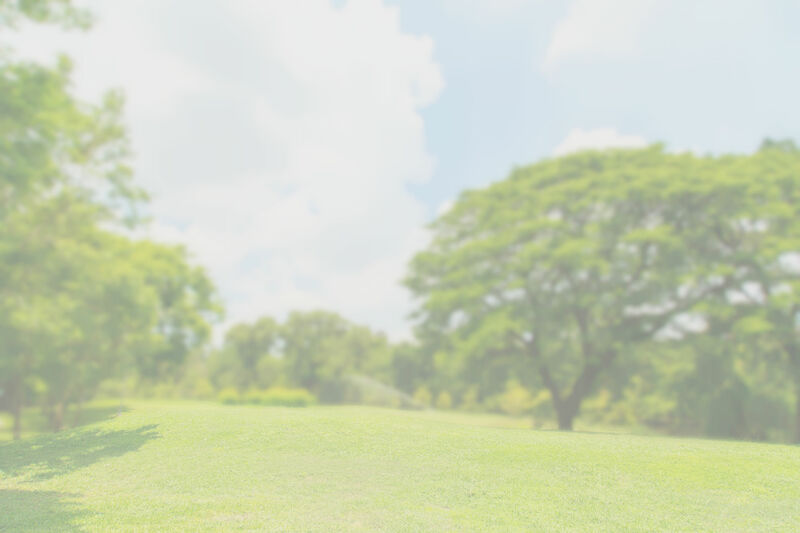 The Our products do not contain any polyethylene which helps them to biodegrade in less than 24 months. How does the Peco Bloomer Poncho biodegrade? 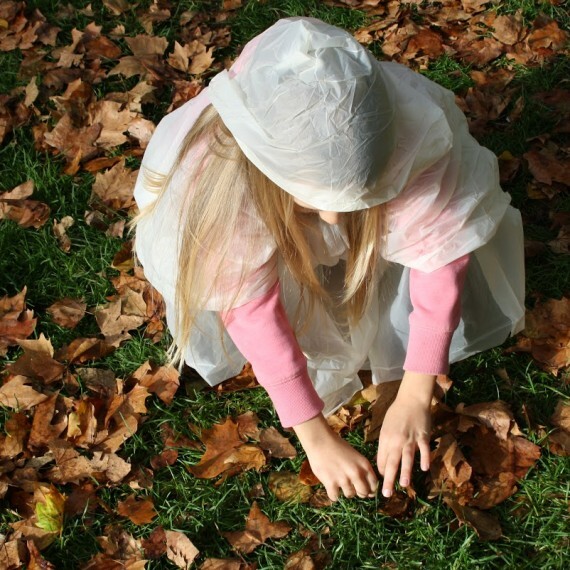 The Peco Bloomer Poncho will biodegrade within 24 months in contact with compost or soil. Can I leave my Peco Poncho on the ground to biodegrade? Your poncho will not biodegrade if you leave it on the ground. Please put in a compost bin at home or return to a commercial compost facility. 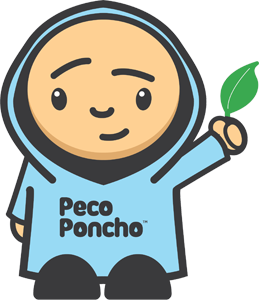 The Peco Bloomer Poncho can be composted or planted in soil. Can I put it in the regular trash? Please put your poncho in a home compost bin, return it to a commercial compost facilty or plant in soil as appropriate. Your poncho may go to regular landfill if it goes in the trash. I am not wearing my Peco Poncho right away. How should I store it? Peco Ponchos are best kept in cool dry conditions. 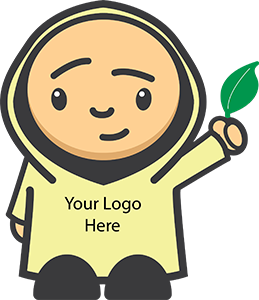 Can you print my brand or company logo on your ponchos? Please click here for more information on custom printed ponchos.